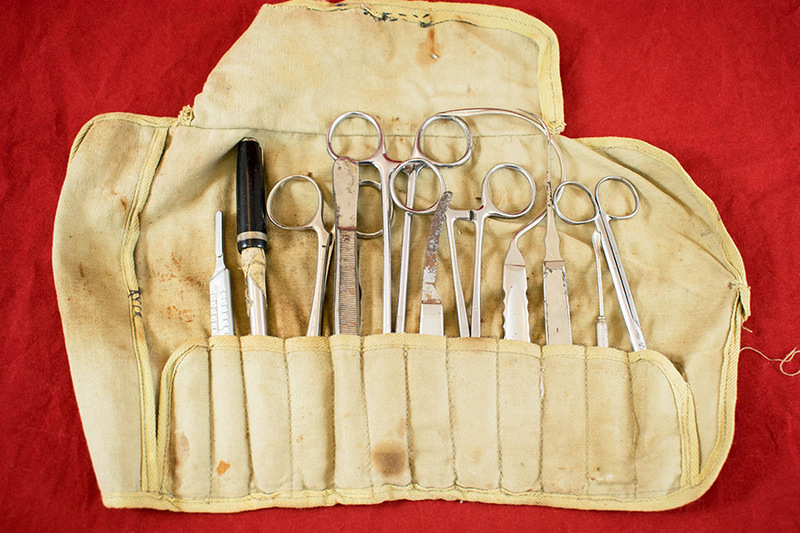 Set of 11 instruments in a rolled canvas case. 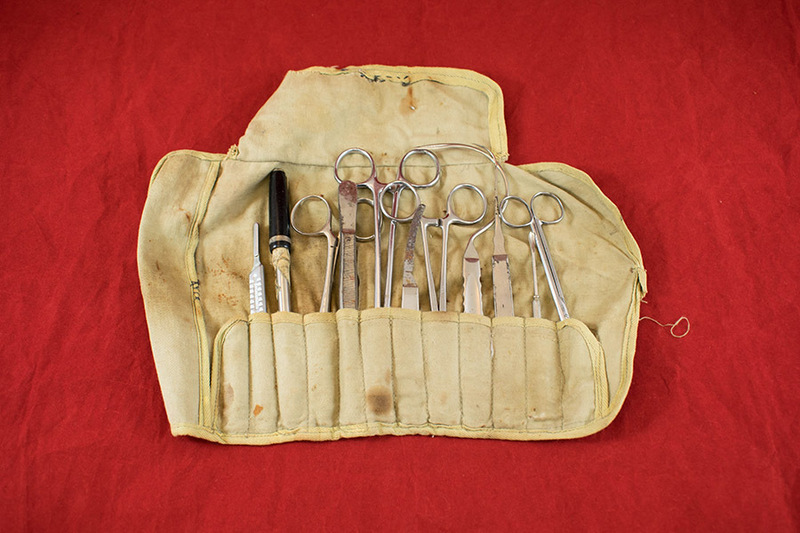 Includes 1 pair of scissors, 1 thermometer, 3 pairs of scissor-handle forceps/clamps, 1 small double-ended bone scoop, 2 scalpel handles (without blades), 2 curved suture needles with handle, 1 pair of tweezers. 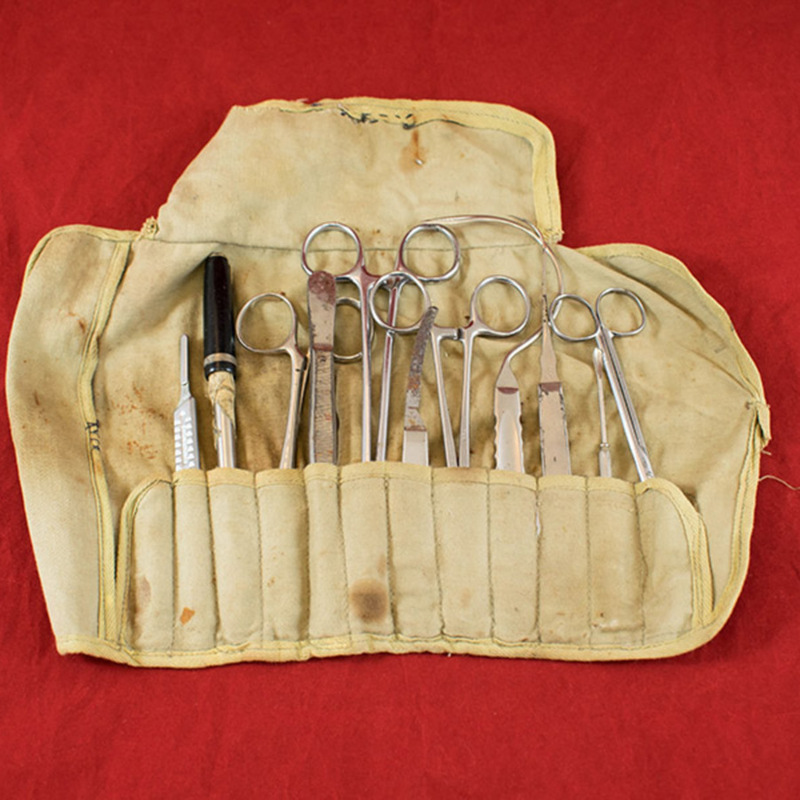 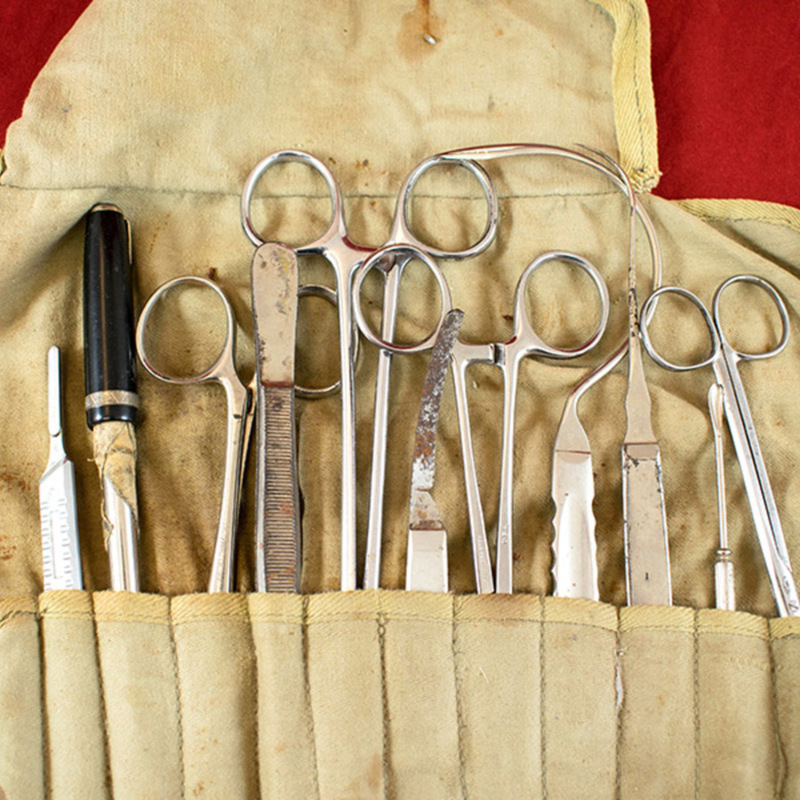 “Travel Instrument Set,” Heritage, accessed April 23, 2019, https://heritage.rcpsg.ac.uk/items/show/720. 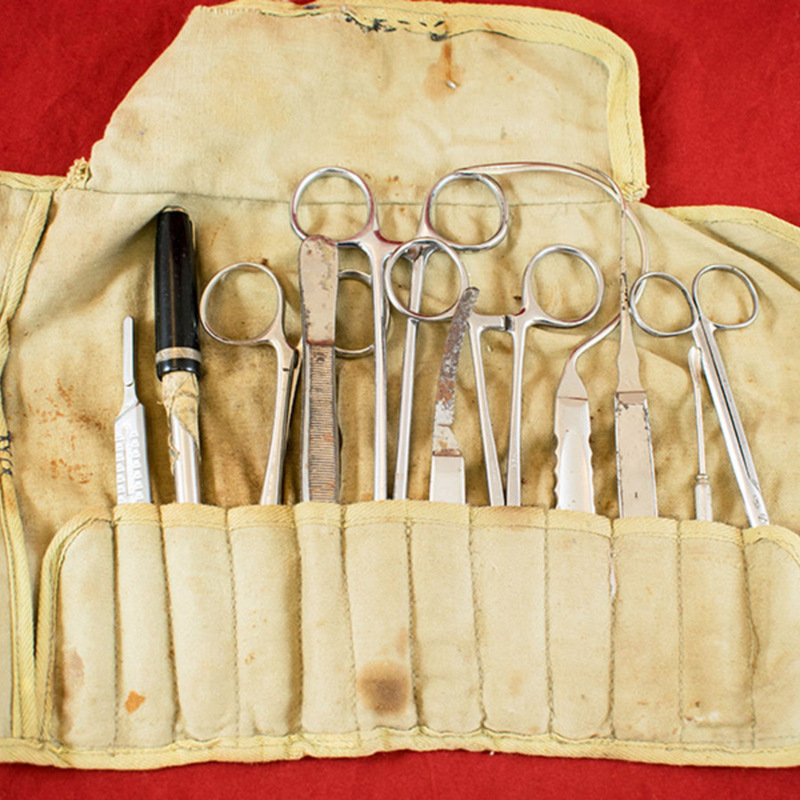 Description: Set of 11 instruments in a rolled canvas case. 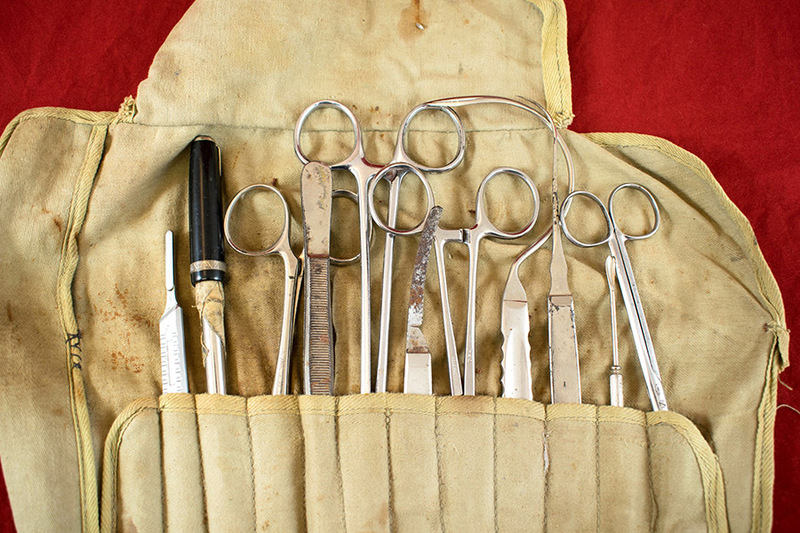 Includes 1 pair of scissors, 1 thermometer, 3 pairs of scissor-handle forceps/clamps, 1 small double-ended bone scoop, 2 scalpel handles (without blades), 2 curved suture needles with handle, 1 pair of tweezers.